This exceptional 2 level home is loc. on one of Dollarton’s most coveted streets. 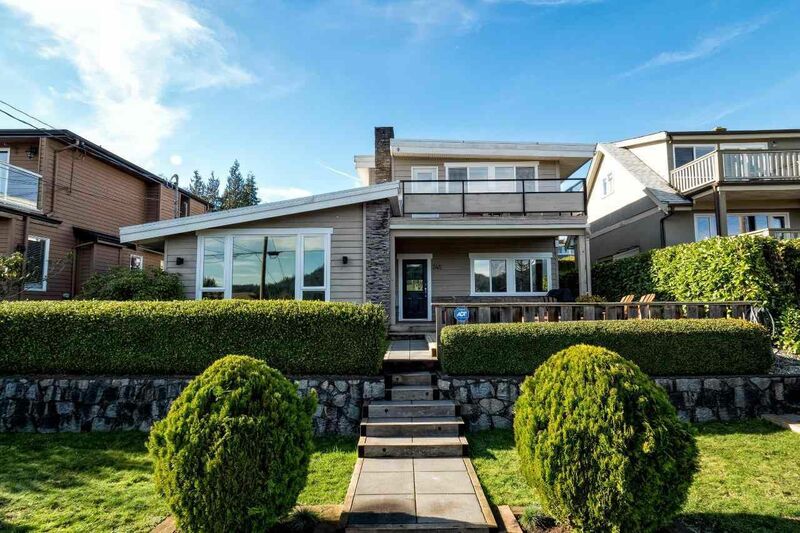 This 50x160 ft property boasts 180 degree views of Indian Arm to Simon Fraser University. This designer home has been comp. reno'd (with permits) includ electrical, plumbing, structure and has an incredible feel. Some of the many interior feats are heated slate and solid h/w floors throughout, spacious baths and on demand hot water, built in zoned speaker system and closet organizers. There are 3 bdrms and the master has head on water views. The large family room with a slate wall feat looks out to the picturesque back yard with mature flowering trees, a shed/workshop with power and laneway. This home has “live in” appeal with 4 decks to enjoy outdoor living with loads of sun to take in the views.